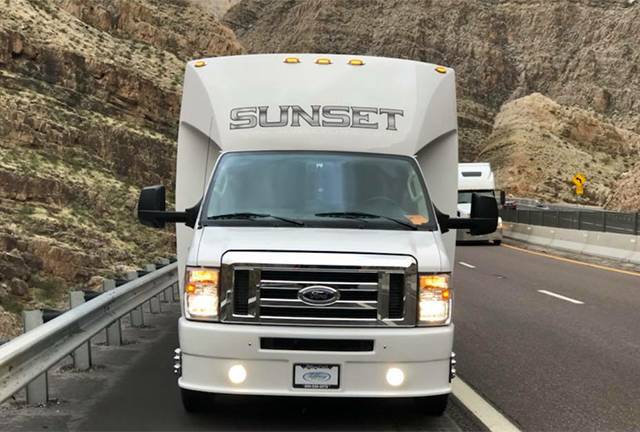 Take The Party On The Road! 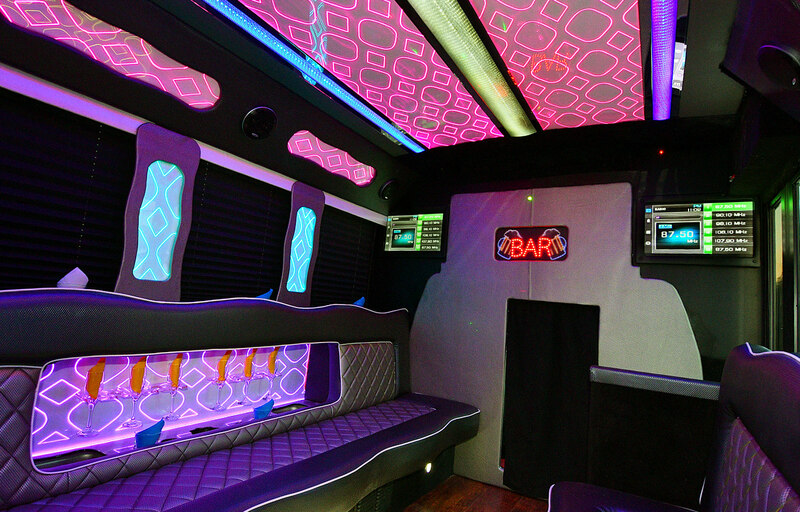 See The Mile High City in style in a Sunset Party Bus. 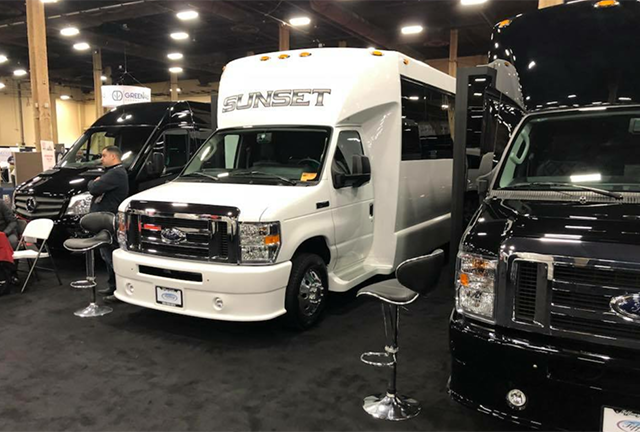 This Sunset party bus is smaller than its brothers, but no less powerful! 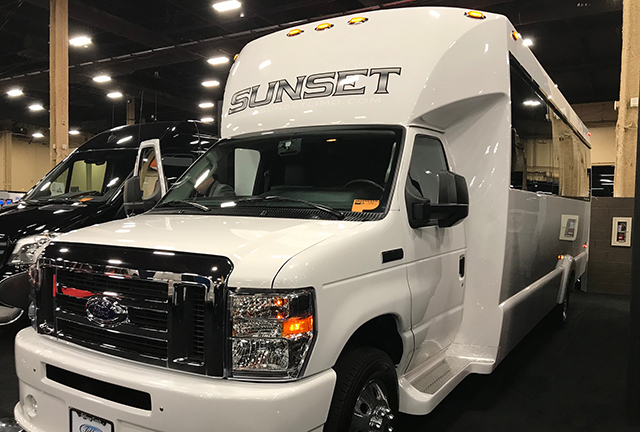 Brand new and abvailable in black or white, it seats up to 24 passengers and comes with fiber optics, lasers, mirrored ceiling panels, CD stereo, iPod and MP3 capabilities, DVD with 42″ and 17″ flat screen and a full beverage bar. Ideal for wedding parties, birthdays, bachelor parties, bachelorette parties or just a wild night out in Denver. This is a brand new bus, and we absolutely LOVE the way it looks. Scroll down the page for some exterior shots of the bus in black and white to help you make your decision. 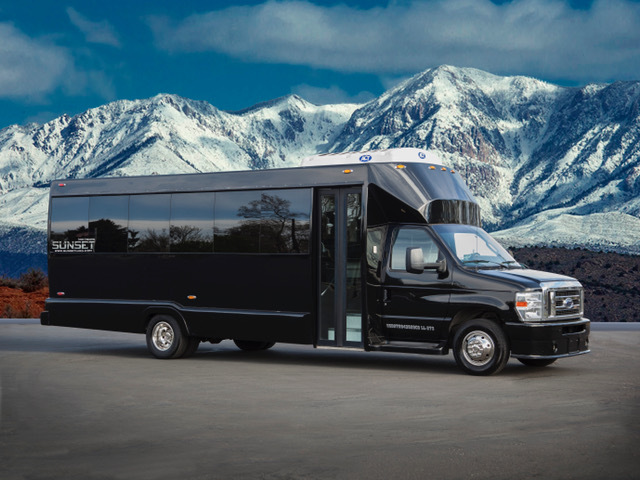 Seats up to 24 passengers.We recommend 20 passengers for the most comfortable seating. For booking a REAL party bus, Sunset Limos will give you a free t-shirt when you rent a party bus! Sunset Limos does not provide iPod or smart phone cords. 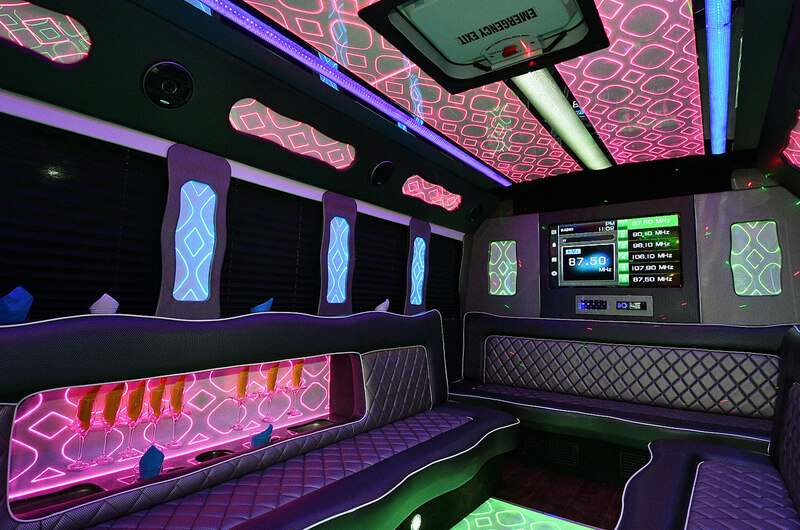 Call (303) 426-9668 to book this party bus! 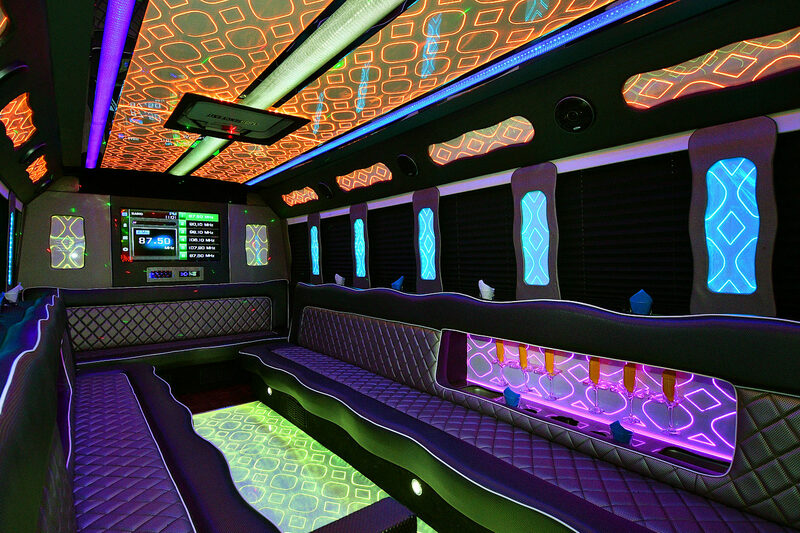 Sunset Limos: The Best Party Buses in Denver! 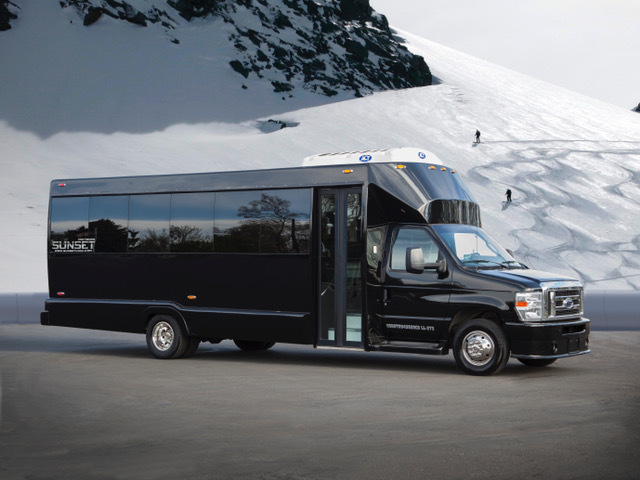 Sunset Limos has the largest, most exceptional party bus fleet in all of Colorado. 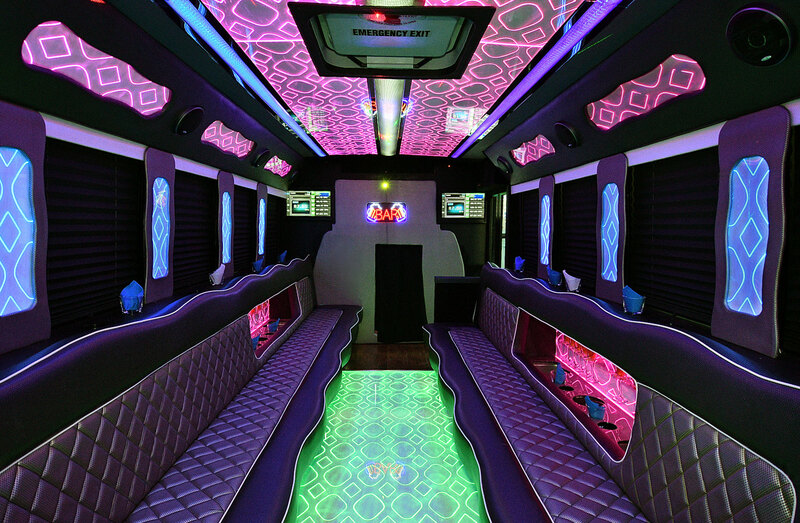 Our party buses are clean, luxurious and will never “look” cheap. The same can’t always be said for our competitors. 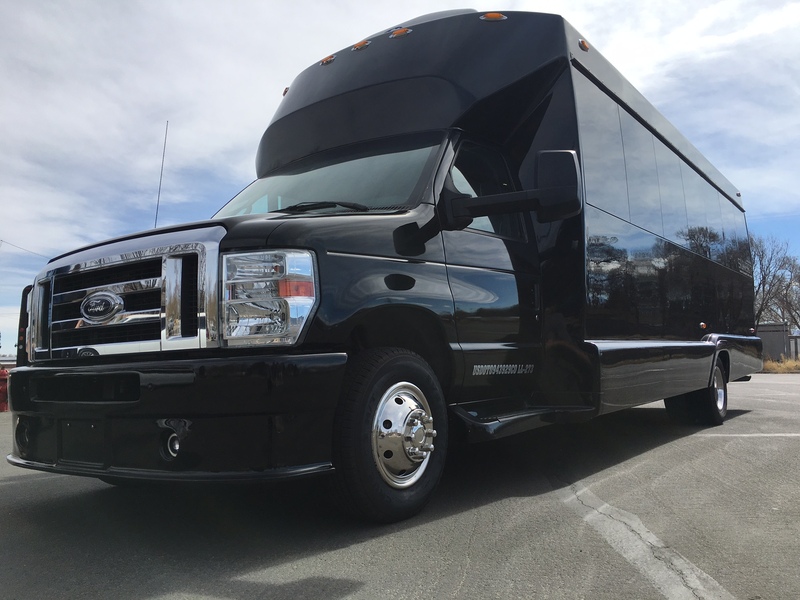 Our professional drivers are courteous, licensed and are trained to make every party bus experience amazing. But don’t take our word for it; read what our clients are saying about us on Google and Yelp, or click here to read reviews and testimonials from our satisfied clients.